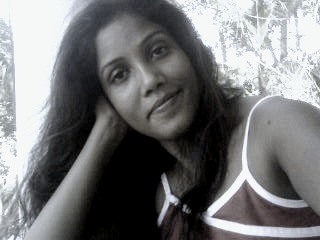 Stella's Musings: Maoists are India's main forest destroyers? Nah, I don't buy that! Maoists are India's main forest destroyers? Nah, I don't buy that! Just a couple of months ago, during the Durban UN Climate change summit, India got a huge pat on its back for increasing its forest cover by over 2%. Piggy riding on that, the government loudly asked for increased funding for its growing carbon stocks under REDD+ program. Barely 8 weeks later, however, that great green picture is already showing signs of fading: the country has just released India State of Forest Report 2011 which shows, India's forests have shrunk by 367 square km over the last two years. According to the report, in 12 states the forest cover has fallen by 867 square km since 2009. Among the big losers are the North East - undeniably one of the country's pride green regions – which has lost a whopping 549 sq km of forest area – and Andhra Pradesh (AP), which, with the loss of 281 sq. km, leads this pack of losers. 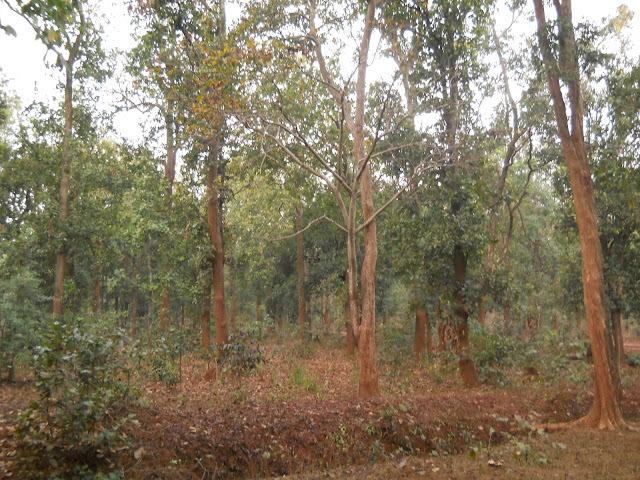 A forest in the Maoist stronghold of Dantewada, Chhattisgarh. The govt says, Maoists are prime destroyers of forests. The picture says something else! There's a reason why I am citing these two examples. Both the areas are falling into 'conflict zone' and the government has been quick to blame the political scenario for this forest decline. Let’s first look at AP: very predictably, the government has said that the Maoists (Naxals) are to be blamed for the deforestation. “The Naxals have chopped down hundreds of acres in Khammam and its neighboring districts,” claims T. Chatterjee, Secretary to the Union Ministry of Environment and Forests, before adding that Warangal and West Godavari districts, which flank Khammam on either side, also saw net losses of 23 square km each. Now here is why I find this really difficult to believe: Apart from AP, at least three other states – Chhattisgarh, Orissa and Jharkhand have seen increased Naxal activities in past couple of years. From attacks on the security personnel to destruction of government properties and retaliation by the army/paramilitary forces, these three states have seen and borne much more brunt of the Maoist movement than AP has. Yet, none of these states has recorded such large-scale deforestation. In fact, Both Jharkhand and Orissa have increased their forest cover by 83 and 48 sq km. respectively. Chhattisgarh has recorded a decline, but of only 4 sq km. So, does that mean the Maoists in AP are particularly against forest growth? According to media reports, Mr. Chatterjee has said that the Maoists, after cutting the trees have auctioned them and raised money. How strange that this unique earning opportunity is being adopted and practiced by the Red force only in AP! However, my personal feelings apart, the FSI report itself officially claims that the primary cause for loss of forest cover in Andhra Pradesh is the harvesting of eucalyptus plantations. Unfortunately, the report – or for that matter our government - does not distinguish between man-made plantations and natural forests which have far higher biodiversity value. And this is why there are so many who question the performance of India as a forest gainer as we seem to be putting quantity over quality. But after this report, it is evident that we are also losing it quantity-wise. The problem is, instead of owning up its own foul acts - large scale eucalyptus plantation (and in Chhattisgarh, the govt had planted Jatropha in hundreds of HA of land - a miserably failed project that destroyed forest as well), the government is going for the easy way out: blame it on your enemy. This might suit politics, but not the country’s biodiversity!